Google has announced this update in September 2013. It focuses on the meaning behind the words. 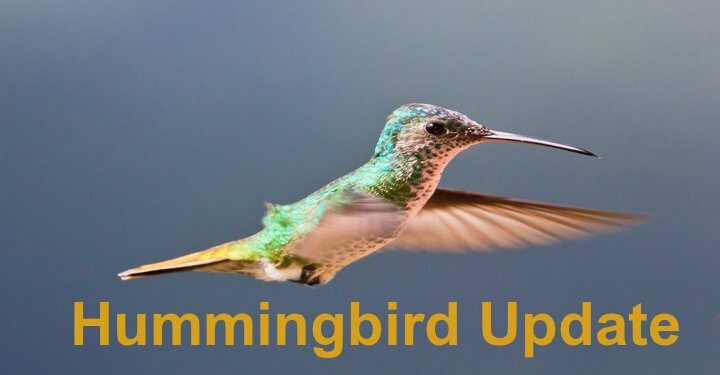 Hummingbird update pays more attention on each word of each query. The goal behind this update is that pages matching the meaning do better, rather than pages matching just a few words. The goal of Google’s new search algorithm “Hummingbird” is to be able to better interpret the user’s search requests and thereby further increase the quality of the search results. The code name “Hummingbird” is supposed to indicate that the search results will be both quick and precise. How do you know that the Hummingbird Update is at work? Hummingbird has been announced, now as a Digital Marketer we need to know How it will affect the SEO? What about all my SEO work? Is it ruined? Do I have to change everything? Rest easy, you don’t have to change anything about your SEO efforts, at least not if you’re already doing what you should have been doing all these years. Hi….so how can we find best results according to this update.